Victoria’s largest solar farm goes ahead after “solving” connection dilemma, REneweconomy, Giles Parkinson, 16 October 2018 The 200MW Kiamal solar farm in Victoria – the largest in the state to date – will be officially launched on Wednesday and begin construction this month after developer Total Eren says it has resolved connection issues that had already delayed the $300 million project.The Kiamal solar farm is located near the town of Ouyen – not far from Mildura in the state’s north west. But as RenewEconomy revealed in May, it is located in what could be described as the “rhombus of death”, a part of the network that doesn’t have the “system strength” to accommodate all the wind and solar projects planned for the area. Kiamal, as the largest solar project proposed for the area, was expected to be particularly badly hit, and after going back to the drawing board its developers have decided to invest in a large synchronous condenser to advance the project. Synchronous condensers are decades old technology. They are rotating machines that do not generate power as such, but can provide “system strength” when needed. South Australia’s ElectraNet is installing three such machines to boost its network. The “syncon” to be installed by Total Eren will provide a fault contribution of greater than 600MVA, which is around three times the size of the peak output for the solar farm. According to Michael Vawser, Total Eren is doing this because of economies of scale, and because it will make the yet-to-be-finalised connection process smoother. It will also facilitate the development of many other wind and solar projects in the area, including some that recently won contracts from the Victoria government under its auction for 650MW of wind and solar capacity. The Australian Greens have warned against the Morrison government backing a coal-led energy policy over the Snowy Hydro 2.0 project. SBS, 15 Oct 18 Greens MP Adam Bandt has warned the Coalition’s views on climate change and renewable energy will “kill people”.A major report released last week, referencing more than 6000 scientific studies, stated drastic changes are needed in global society to prevent world temperatures from rising by two degrees Celsius. The Coalition Government says it will not renew or replace the Renewable Energy Target when it lapses in 2020. Mr Bandt’s claim comes on the same day as former Deputy Prime Minister Barnaby Joyce declared the expected $4.5 billion cost for the Snowy 2.0 scheme would be better off used on funding new coal-fired power stations. 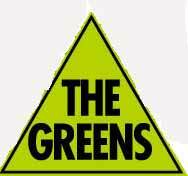 “The Coalition’s energy policy will kill people – it’s as simple as that,” Mr Bandt told reporters on Monday. “Australia is going to be one of the countries worst hit by climate change and the Morrison government seems to not care how many people will die because of its policies. Britain’s exit from European Union- a cause for rejoicement to Australia’s uranium industry? New Aust uranium deal for UK after Brexit https://www.sbs.com.au/news/new-aust-uranium-deal-for-uk-after-brexit, 15 Oct 18. Australia is working on a new deal for selling uranium to the United Kingdom once it leaves the European Union. Australia is working on a new nuclear deal with the United Kingdom once it leaves the European Union.One fifth of Australia’s uranium goes to the UK, but it cannot be used for military purposes, or sold to other countries who use it for their militaries. “Retransfers can only be made to third parties that have a nuclear cooperation agreement with Australia,” Dr Kalish told a parliamentary committee on Monday. But Dr Kalish could not reveal which countries Australian uranium ends up in, citing “commercial in confidence”. Liberal MP Andrew Wallace can’t understand why. “I’m just trying to work out why the Australian people can’t be informed what third party countries the UK might reassign or retransfer uranium that comes out of this country?” he asked. Meanwhile, Labor’s foreign affairs spokeswoman Penny Wong gave a speech to the Australian Institute of International Affairs on Monday, in which she called for Australia to take a greater role in banning nuclear weapons. “A Shorten Labor government will seek to muster wide international support, including from the states that possess nuclear weapons, for a ‘No First Use’ declaration,” she said. Senator Wong says Labor will also use Australia’s strong relationships with nuclear weapons states to push for a reduction in their nuclear stockpiles. “Dismantling 15,000 nuclear warheads and the security arrangements that rest upon them is not going to happen overnight,” she said. Australia must develop a nuclear energy industry. It promises to provide clean and reliable energy from a resource we have in abundance. For too long we have allowed nuclear energy to remain off-limits in the discussion about the security of Australia’s energy supply. What we need is an informed and rational debate that isn’t driven by fear. While the high capital cost of traditional nuclear reactors makes them unattractive compared to coal and natural gas as a source of dispatchable baseload power, the advent of safer and cheaper small modular reactors (SMRs), for example the NuScale facility commissioned in Idaho, offer a competitive and cost-effective entry point for Australia to cutting edge nuclear energy technology. The projected levelised cost of electricity (LCOE) of NuScale’s SMR is comparable to other forms of dispatchable generation in the pipeline. [ Ed. Wha..aaa,..t? The Australian Nuclear Science and Technology Organisation (ANSTO) has said a nuclear energy industry built either on SMRs or Generation IV reactors is technically feasible in Australia, but we do not have the necessary expertise available……. The Australian Radiation Protection and Nuclear Safety Act and the Environmental Protection and Biodiversity Conservation Act prohibit the approval, licensing, construction, or operation of a nuclear fuel fabrication plant, a nuclear power plant, an enrichment plant or a reprocessing facility. ABC, By Jane Bardon 16 Oct 18 A group of Indigenous traditional owners from remote parts of the Northern Territory will travel to Origin Energy’s annual general meeting in Sydney on Wednesday to tell shareholders they have not given permission for the company to frack their land for gas. Origin Energy gained official approvals for gas exploration, including test fracking, in the gas-rich Beetaloo Basin, both from traditional owners through the Northern Land Council, and the Northern Territory Government. But some of the traditional owners plan to tell the shareholder meeting they oppose fracking, and did not give their “free, prior and informed consent”. They hope to tell the meeting when permission for fracking was sought by Origin Energy, they did not fully understand the company’s explanations of processes, or the potential size of developments potentially numbering hundreds of wells. “The letter that we’re bringing up to Origin, we want that to be recognised, and to be respected for who we are,” Alawa traditional owner Naomi Wilfred said. 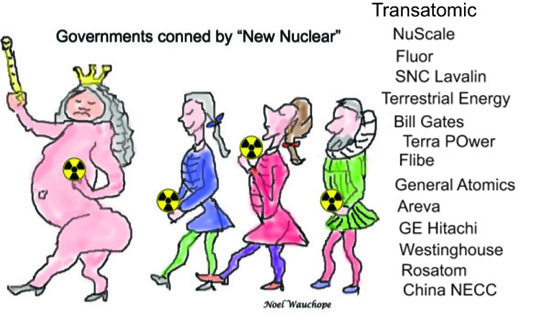 Is nuclear radiation really “good for you” as USA’s Environmental Agency suggests? scientists agree that climate change is human-induced.